Product #5419 | SKU A400SM | 0.0 (no ratings yet) Thanks for your rating! 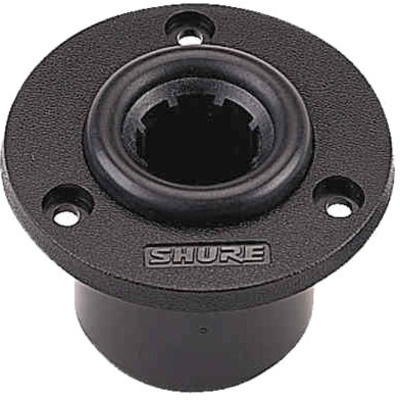 The Shure A400SM is a recessed surface mount for gooseneck and desktop microphones. The A400SM utilises the Shure Shock-Stopper construction, which reduces the transmission of impact or surface noise by up to 20dB.